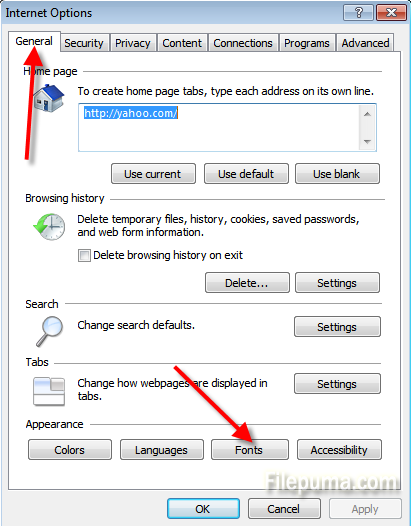 How to Modify Font Size in IE? When you search on the internet, the default font size of the browser is not always good for your eyes. Larger text is easier on the eyes if you are struggling to see things clearly. Smaller text allows room for more graphics to show on a page without having to scroll to see it all. Someday you may want to change the size of the text you see online when you are using Internet Explorer. This article will guide you through. Step One: Open Microsoft Internet Explorer. 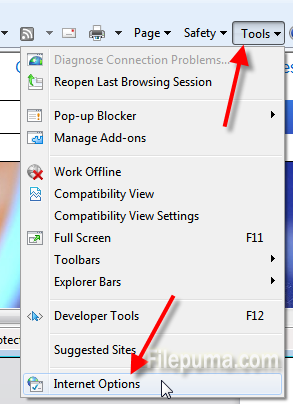 Step Two: Click “ Tools” on the right corner and select “ Internet Options” in the drop-down menu. Step Three: In the Internet Options window, click “General” tab. Select the “Fonts: button at the bottom. 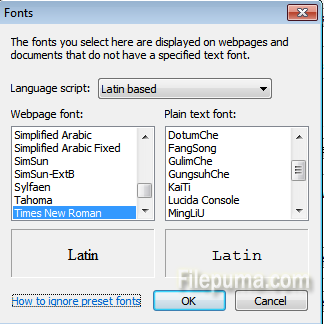 Step Four: There in the font window, you can select the proper font you’d like to set.